Introducing our 2019 All West/Select Sires Summer Intern! 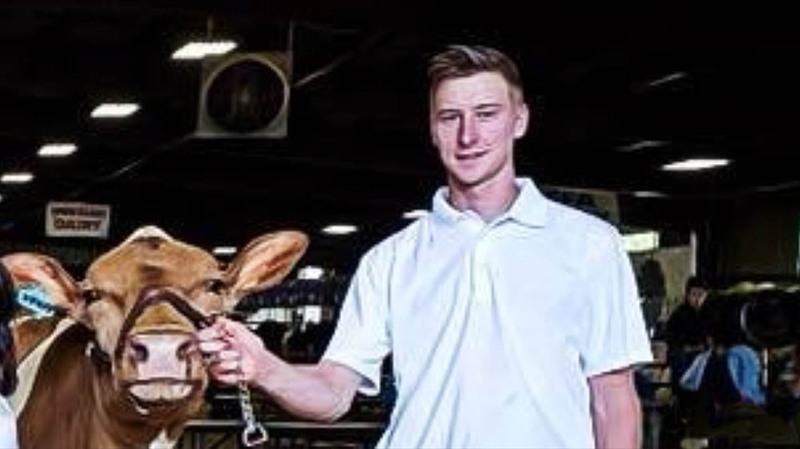 We are proud to announce our 2019 All West/Select Sires Summer Intern, Luke Wolfisberg! Luke will be joining us in late May from Washington State University, where he is earning his Bachelor’s Degree in Agricultural & Food Systems Economics while maintaining an impressive grade point average. Although Luke enjoys the economics of agriculture most, he is no stranger to the dairy industry, having grown up on his own family farm, Edelweiss Dairy. He also has experience working for a wide variety of dairy operations in the Pacific Northwest. “I have had exposure to all types of dairy farms, from Laird’s 50 cow herd of Brown Swiss that require close management, to Van Dyk’s mixed herd of 1000 milking cows and hundreds of acres of corn and grass, to the Polinder family farm, world famous for their high genomic “Ronelee” herd, and lastly my family’s dairy that uses a New Zealand-style intensive rotational grazing system. On all these farms I have performed various farm tasks and learned the value of genetics and pedigrees. From helping develop rations and analyzing commodity pricing, to selection of sale heifers and careful management of high genomic females, I know what it takes to be successful in the changing economic environment that dairy farmers are facing today,” Luke shared. We are certain that Luke’s wide variety of dairy industry experience, strong work ethic, positive attitude, and willingness to learn make him a great addition to our team! Although Luke will be spending much of his time in his home state of Washington during his internship experience, he will also be traveling throughout All West Territory. Be sure to say hello when he visits your dairy or community!